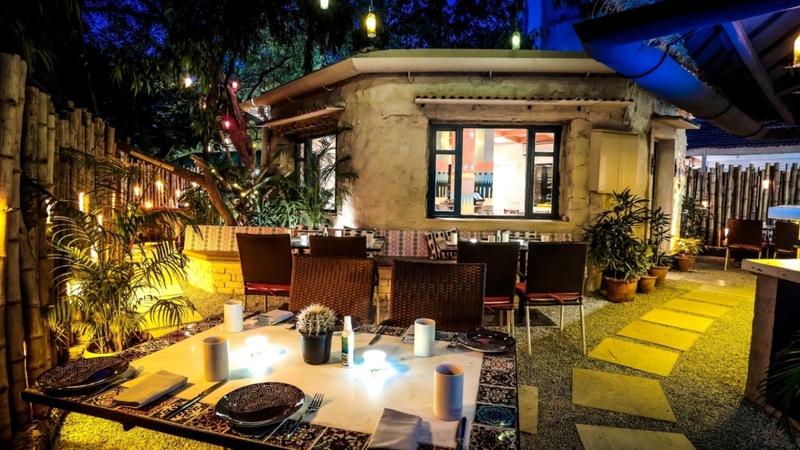 In this blog post, I cover Arriba, Delhi's first Mexican Grill and Tequilieria. Let me first begin with an explicit admission. My love for Mexican food like Tacos, Tortas, Panuchos, and Enchiladas has increased several folds after visiting Arriba last week - a restaurant so genuinely authentic, I wondered what took me so long to connect with its true Mexican spirit. 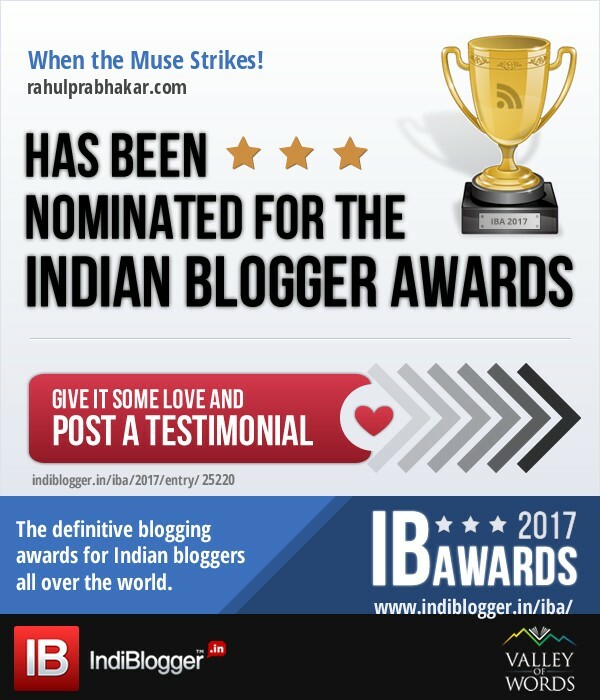 So all you Dilli walas, it's time to say Hola! to Arriba, capital's first Mexican Grill and Tequilieria. The brainchild of restaurateurs Sahil Gupta, Rohan Gupta, and Samir Kohli - the same folks who introduced you to the very successful The Hungry Monkey and TabulaBeach - Arriba offers a fare that draws inspiration from the different regions of Mexico, leaving no stone unturned to lend a modern touch while not altering the core flavors of Mexico. Open every day from 12.30 P.M. to 3.30 P.M. and from 7 P.M. to 12 A.M., Arriba takes its cue from the Aztec and Mayan cultures, borrowing a cuisine which is a mix of Tex-Mex and Tapas. In addition to that, the restaurant boasts the largest selection of margarita cocktails in the city. The menu offers a play of tastes and textures through an eclectic mix of vegetarian and nonvegetarian dishes, made with fresh ingredients using modern cooking techniques. Choose from a range of authentic Tex-Mex favorites followed by some delectable Mexican desserts. If you're fond of live cooking, then go for the freshly prepared Guacamole right at your table. No matter what you choose, each dish at Arriba is paired with one (or more) exclusive and unique Salsa. 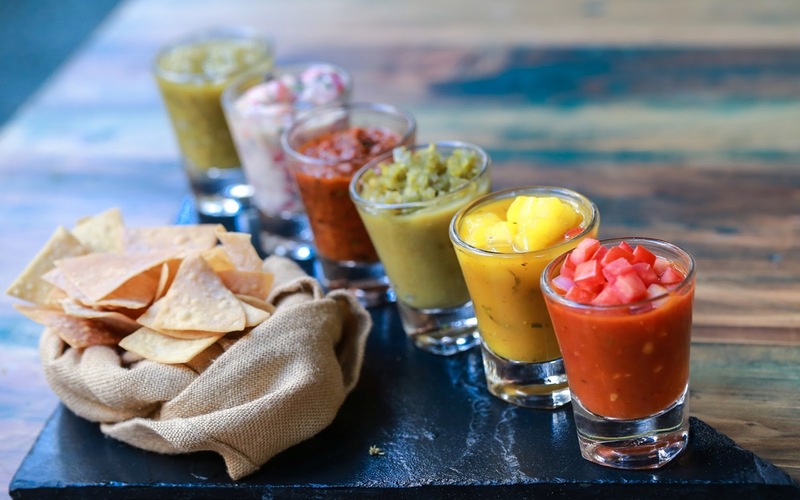 It'll be a cardinal sin not to combine the amazing flavors of these salsas with your dish; also look for the homemade Miss Habanero and Miss Jalapeno sauces, which you'll find placed on your tables. 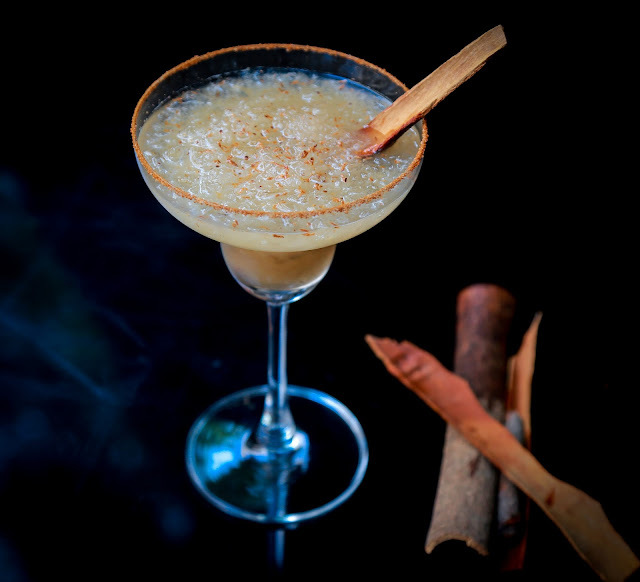 Besides offering an exceptional experience of food, Arriba tantalizes your taste buds with exotic Tequila based cocktails that leaves a long-lasting experience. 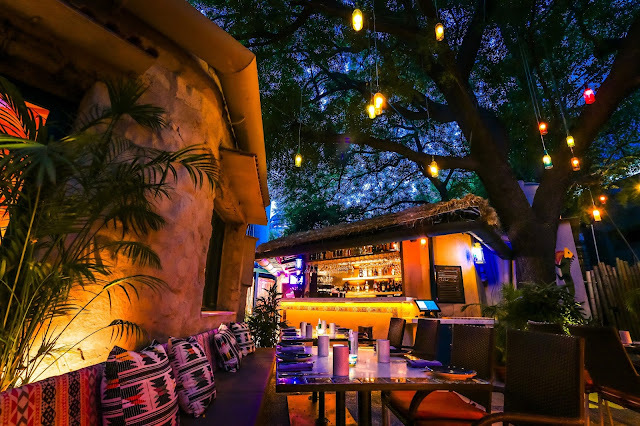 Arriba houses a spectacular collection of Tequilas such as Blanco, Reposado, and Añejo. 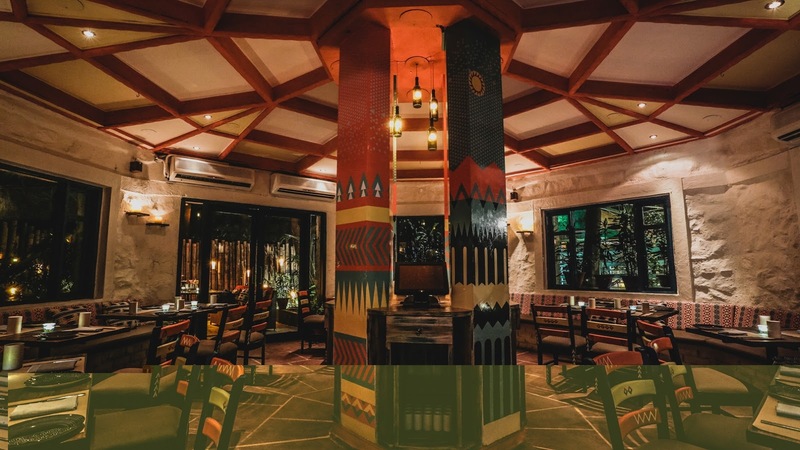 For the uninitiated, Arriba is India's first Tequileria, an avant-garde establishment where Tequila is not only served at the tequila bar but also innovatively and inventively used in cooking. Arriba is a celebration of all things Tequila, extracted from the special Blue Agave grown only in the region around Tequila Mexico. This spirit is clear, fragrant, and delicious. Personally speaking, I enjoyed my Tequilas in a variety of avatars - on the rocks, blended with fruit and ice into margaritas, and slammed as shots with salt and wedges of lime. A fresh dip made of mashed avocado mixed with chopped onions, tomatoes, cilantro, jalapeños and other seasonings like salt, pepper, and lime. Prepared right at your table, this dish needs to be enjoyed with homemade Tortilla Chips and five dazzling types of Salsas (Mango Coriander and Habanero, Watermelon Togarashi and Feta, Fresh and Pickled Jalapeno, Charred Tomato, Spiced Green Tomato). This irresistible Arriba Signature Margarita contains fresh pineapple, ginger jalapeno, orange liqueur, and lime. Morita marinated chicken which is grilled first and then baked in the oven. Best served with Tomatillo Salsa and Red Sauce. The fillets are made with a Martini and Rosso Vermouth Sauce, braised fennel, sundried tomato and Tequila Mexican Pilaf, green peas medley, and fried plantains. Enjoy the homemade Churros with a combination of two dips - Dark Chocolate and Chili Chocolate. 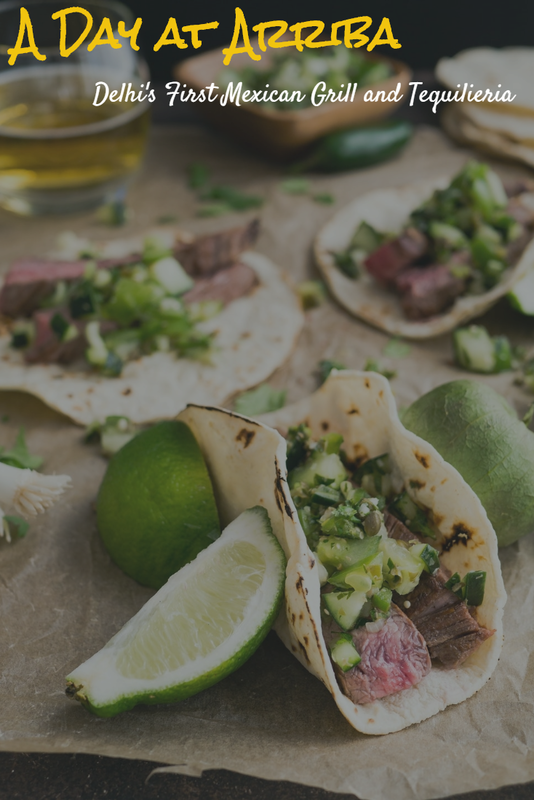 Since its inception in July 2016, Arriba has continuously been in the news for hosting Mexican Food Festivals at its premises. Don't forget to be a part of the Churros Festival at Arriba from November 1! The restaurant can easily accommodate 56 guests at any point in time. However, a reservation is a must on weekends, since the place is packed to the beams! Finally, the literal meaning of Arriba is an exclamation of pleasure, approval or delight. True to its name, Arriba aims to evoke the colorful yet laid-back spirit of Mexico. Ensconced in lush foliage, this hidden gem is surrounded by dramatic architectural details against a vibrant palette of coral, aqua, cobalt, burgundy, and gold. It is an ideal space for lazy afternoon siestas, margaritas over sundowners, intimate and romantic dinners, all in the midst of popular Mexican and Latin music with a festive vibe.